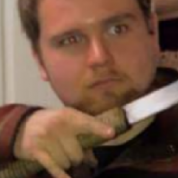 Its been too long since I posted here ! - still pop in for a browse quite often though. 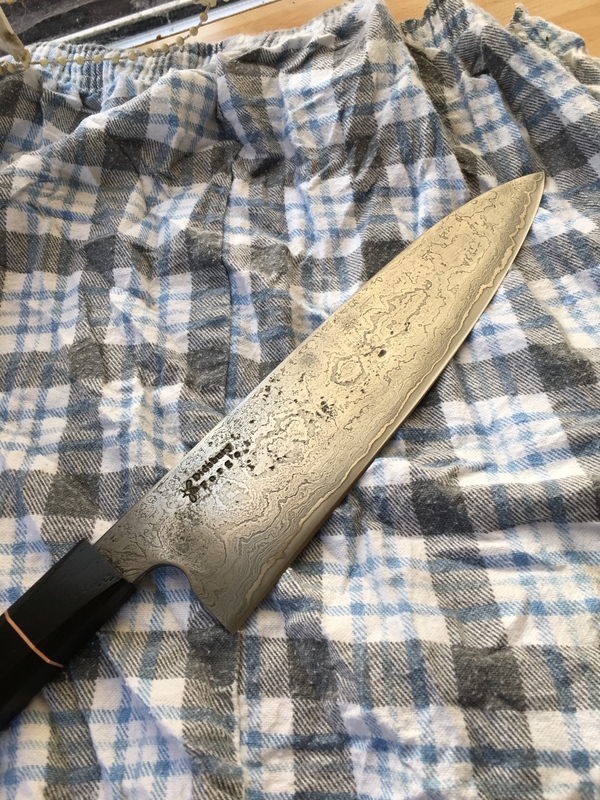 Ive been fairly productive making wise (by my standards) for the last year or so, and seem to be finding my groove with chefs knives. 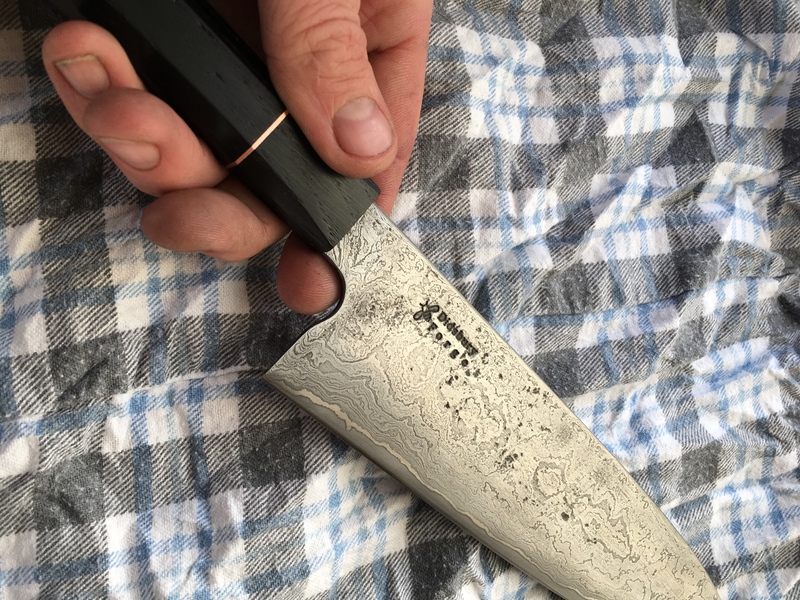 I have a strong bias on the forging of the blade, and forging as much geometry into them as I can, I am finding my way with grinding and handles, but a bit of me still views them as necessary evils so I can do more forging! 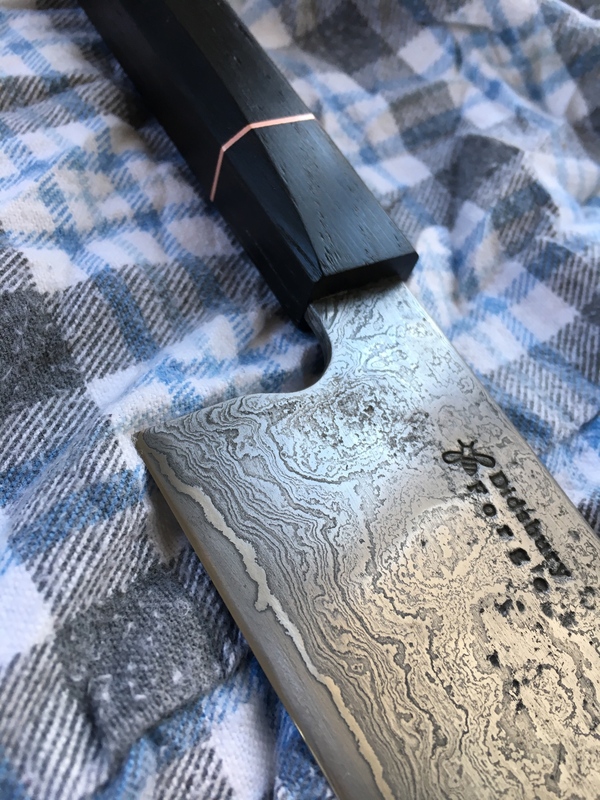 This is one of the last ones I have done, the cladding is about 80 layers of wrought iron, mild, and bandsaw blade, over a core of Takefu Blue paper steel. This one has got a pure Ni barrier layer as well. 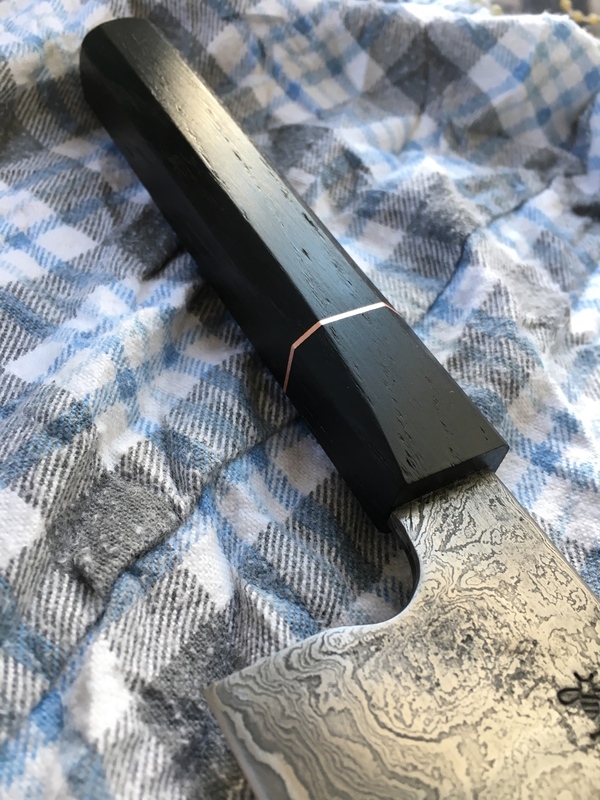 The handle is Bog Oak. Freakin' gorgeous, John! I like how you incorporated the Mancunian bee into your mark, too. Was it quenched in Boddingtons? I know you're more of a Strongbow man. For those in the dark, the Bee has always been the logo of my home city of Manchester, symbolising hard work. We are grafters if nothing else ! Holy crap that is gorgeous. The steel is amazing. Interests:Patternwelding, Beekeeping, Bonsai, Rugby, Beer. Sensual, love the nickel barrier layer too, looks great! Is that practical or cosmetic? Highly productive indeed!